Tap yourself on the back for being a savvy car shopper! You have just found some of our best deals on new and used vehicles in the Stony Plain area. Hurry these deals don't last long, so click the vehicle you are interested in and start saving today. Not quite what you are looking for? Our manager’s specials are changing all of the time so be sure to check back with us here frequently! 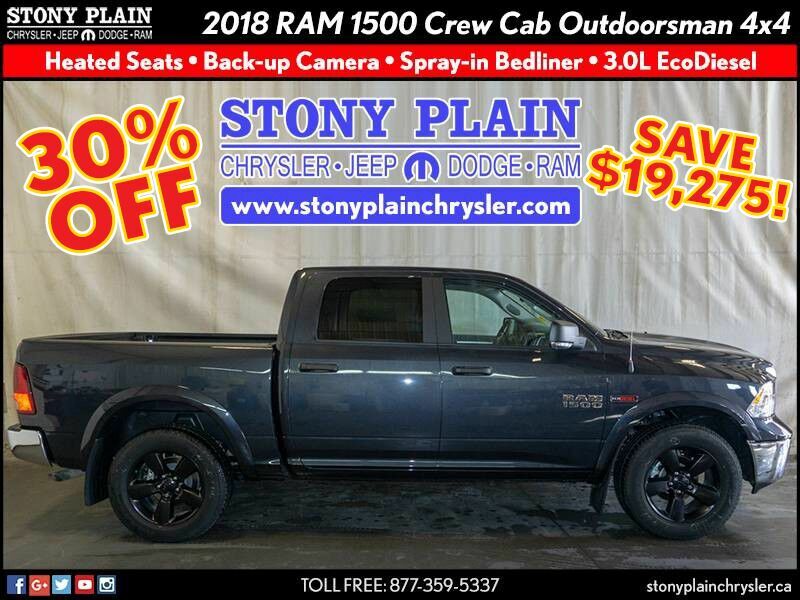 At this price, this 2018 RAM 1500 Crew Cab Outdoorsman EcoDiesel 4x4 pickup truck isn't going to last long! With remote start, back-up camera, air suspension, 20" wheels, luxury group, comfort group, and a 3.0L EcoDiesel V6, you'll be hard pressed to find another deal as good as this one! This RAM 1500 is the vehicle others dream to own. Don't miss your chance to make it your new ride. When RAM created this vehicle with 4 wheel drive, they immediately enhanced the performance ability. Easily switch between two and four wheel drive to take advantage of the improved steering and superior acceleration. Was $64,250, now only $44,975! Includes 3 year or 60,000KM maintenance free driving! This SUV gives you versatility, style and comfort all in one vehicle. Today's luxury vehicle is not just about opulence. It's about a perfect balance of performance, comfort and attention to detail. 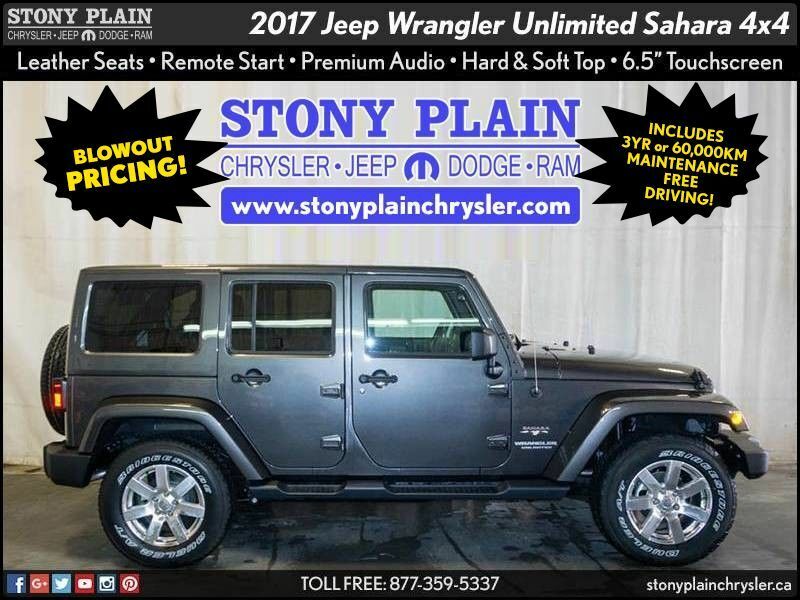 This 2017 Jeep Wrangler Unlimited is the perfect example of the modern luxury. Was $53,655, now only $43,555! Are you trying to save a little money when it comes to servicing your car in Stony Plain? Take a look at these great car service and maintenance coupons. Keep your car and wallet happy at the same time! Just print one off and bring it in today! Why wait? Come on in today for your no appointment necessary Lube, Oil, & Filter starting at just $39.95! Don't drive a Dodge, RAM, Jeep, or Chrysler? No problem, we service all makes and models! Offer available at Stony Plain Chrysler only. 4004 51 Street Stony Plain, AB T7Z 1Y4. Not valid with any other offers.